After being away for a year and an half, I have the strange feeling of being a tourist in my own city. Brussels might be known as the most boring city of the old continent, I would just say to its detractors that they just didn’t get the spirit. Contemporary art wise, the capital of Europe has nothing to envy to its neighbours. The city offers a wide range of museums, art centers, but mostly an incredible amount of art galleries. Often called “Paris’s suburb”, Brussels with its cosmopolitan population, managed to attract internationals galleries such as Gladstone Gallery, Nathalie Obadia or Almine Rech, but still keeps its belgian touch characterised by an interesting mix of classicism and extravagance. I will rediscover with you this special city through its contemporary art scene. I’m curious to see how creative are the people here, and what Brussels has to offer. 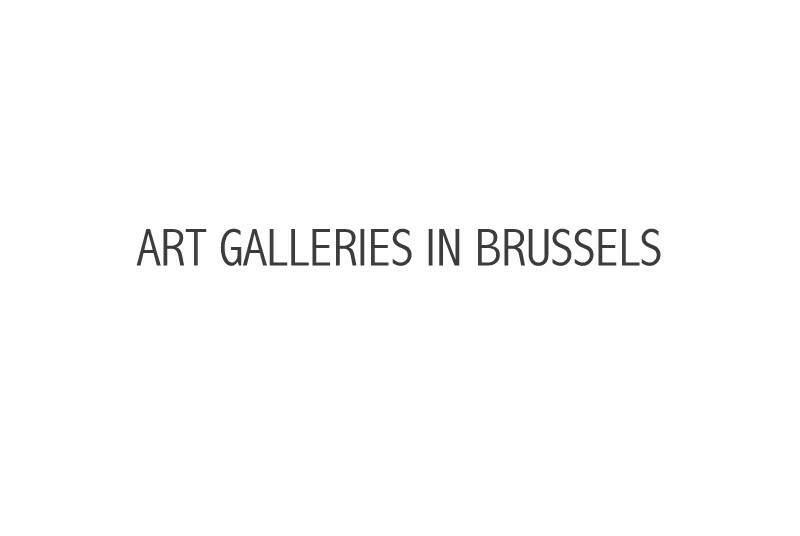 I will take you to my favorite art galleries, openings, artists studios,designers, to Art Brussels (a contemporary art fair as I will work there for the very British “The Art Newspaper“), and will mostly focus on the emerging artists to understand how challenging it is to start as one in Europe. I hope that this part of my journey will please you as much as the one in Tel Aviv. To keep our artsy community growing, I invite all the Instagram lovers to tag their pictures with #artgalleriesineurope in order to share with the world their arty moments.